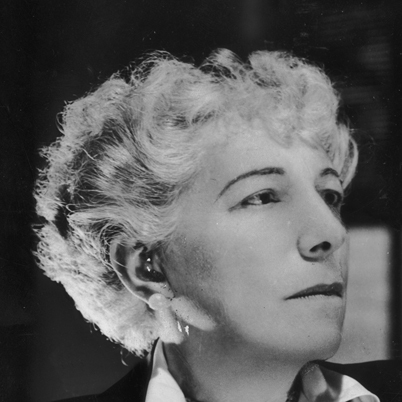 Today is the 132nd birthday of the writer Edna Ferber. If you see one film of hers, see Giant. Everyone is beautiful and the film is perfection. The world is a better place because she was in it and still feels the loss that she has left. BEST KNOWN FOR: Pulitzer Prize–winning author Edna Ferber wrote books and plays that became movies like Show Boat, Giant, and Stage Door. Edna Ferber was born on August 15, 1885, in Kalamazoo, Michigan. Her father, Jacob, was a Hungarian immigrant and shopkeeper, and her mother, Julia, was a native of Wisconsin. Both were of Jewish descent. Edna’s early childhood was spent in Kalamazoo, but successive failures of the family business forced a series of moves to other cities, including Ottumwa, Iowa, where the anti-Semitism they endured was so strong that after several years they left for a fresh start in Appleton, Wisconsin. In Appleton, Ferber attended high school and developed an interest in acting, appearing in several school productions. However, after graduating, Edna was forced to set aside her dreams of becoming a professional actor when her father became ill and began to lose his eyesight. Her mother took charge of the family business, and 17-year-old Edna found work as a reporter for the local paper, the Appleton Daily Crescent. After a year at the Crescent, Edna landed her next job at the larger Milwaukee Journal, where over the next four years she worked so hard that the she suffered a severe exhaustive breakdown. Written during her subsequent convalescence, in 1910 Ferber’s short story, “The Homely Heroine,” was published in Everybody’s Magazine. It would prove to be her first step toward a bright literary future. In 1911 she published her first novel, Dawn O’Hara, as well as the initial installment in a long series of stories featuring a traveling saleswoman named Emma McChesney. The stories became quite popular and won Ferber national attention, ultimately convincing her to move to New York in 1912 and fully embrace her career. In the decades that followed, Ferber would become one of the most influential women writers of the era, publishing numerous novels and short stories and becoming a member of the legendary social/literary group the Algonquin Round Table. Drawing from family history and Midwestern roots, her fiction focused on the lives of average Americans and often featured strong female protagonists. They also exhibited Ferber’s strong love of and belief in America as well her resentment of the bigotry she and her family had endured. Though her work has been criticized both then and now as sentimental and shallow, its popular resonance cannot be denied. In 1924, Ferber achieved one of the greatest successes of her career when she published the novel So Big. The story of a widow farmer and the sacrifices she makes for her son, the book sold more than 300,000 copies and won Ferber the Pulitzer Prize the following year. In 1925, Ferber published what is perhaps her best-known work, the novel Show Boat, which was adapted by Jerome Kern and Oscar Hammerstein into the acclaimed musical of the same name. These two works proved to be just the first in a long line of popular successes, many of which would make their way to the big screen: Published in 1929, Cimarron told the story of the Oklahoma land grab and was subsequently turned into films in 1931 and 1960. Ferber’s 1952 novel, Giant, focused on the oil business in Texas and was adapted into the 1956 classic starring James Dean, Elizabeth Taylor and Rock Hudson. And Ice Palace (1958), about the history of Alaska, was made into a 1960 film starring Richard Burton. During her long career, Edna Ferber was also finally able to indulge her childhood interest in theater by writing several plays, including her collaborations with playwright George S. Kaufman, Dinner at Eight (1932) and Stage Door (1936). She also wrote two autobiographies, A Peculiar Treasure, which focuses on her Jewish identity, and A Kind of Magic, which tells the tale of her lifelong love affair with America. Edna Ferber died of stomach cancer on April 16, 1968, in New York City. She was 82 years old. In 2002 the United States Postal Service issued a Distinguished Americans postage stamp of Ferber to honor her achievements.